From makers of flag shirts to purveyors of fireworks and hot dogs, Independence Day means business, not time off for a barbecue. 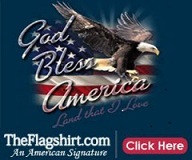 At theflagshirt.com, orders have been pouring in so fast that co-owner Stephen Stern said he sometimes makes eight trips to the post office in one day. He can hardly keep up with demand for new flag-printed tank tops that have become a hit with college students nationwide for their retro look. Stern figures the July 4 holiday accounts for 25 percent to 30 percent of his yearly sales of flag shirts from his website and his Sunrise-based Lord Daniel Sportswear Co. that wholesales to retailers such as Sears . He sells about $5 million in flag shirts a year, even shipping some to Americans abroad. "When 9/11 happened, sales really went crazy," he said, referring to the 2001 terrorist attacks in the United States and flag-shirt purchases from the Pentagon and other groups. "And sales are still strong." 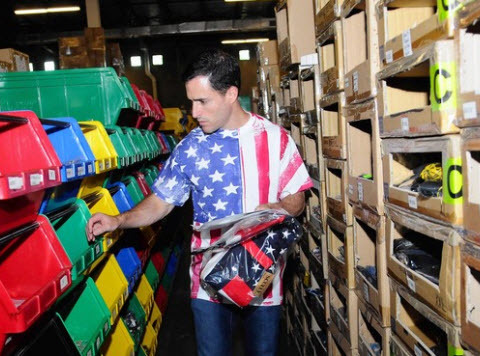 At Sky King Fireworks, with 12 stores in Florida, including West Palm Beach and Delray Beach , hiring has been ramping up for weeks to meet July 4 demand. The holiday accounts for roughly 55 percent to 60 percent of the company's yearly sales, said owner Willie Micco. The West Palm Beach store now employs close to a dozen people, up from a trio in winter. And the number could reach 25 or 30 people by July 3, when store hours are extended from 8 am to midnight, partly to accommodate groups buying together, he said. "In this economy, a lot of families are starting to buddy up," said Micco. "Instead of one family spending $50, they'll pool their money for the block or neighborhood and spend $500 to $1,000 for a bigger display for the whole group." At All American Hot Dog Co. in Miami, owner Louis diRaimondo is preparing to don his "Hot Dog King" cape, crown and regalia for media appearances while adding staff for "Hot Dog Month" in July. His 40-year-old business sells hot dog carts and also serves as a base for vendors. Five years ago, it added its own line of kosher hot dogs made in Brooklyn , N.Y., and sold through distributors and online. "This is the height of it now," said diRaimundo, who has staffed up to six full-time and two part-time workers for July, about double the number employed during winter. Of course, July 4 means time off for many, including the stock market, bond market, most banks and government offices. Yet many stores will be open, offering Independence Day sales and deals. For beach hotels, now is the time to prepare. With city fireworks to light up the sky nearby, the 261-unit Courtyard by Marriott Fort Lauderdale Beach expects to be more than 80 percent full for the holiday and attract at least 200 people to its pool deck for festivities, said sales and marketing director Tom A. Miller. That means buying extra food and drink; informing employees about road closures, sandcastle displays and other news that guests might seek; and adding staff, some for crowd control. Said Miller, for July 4, "We're beachfront central." Flat Fee moving company sarasotais devoted to providing excellent service to their customers. Representatives from this moving company assist their clients from the start to end of moving process. As a customer, you can stay rest assured as Flat Fee Movers provide all sort of recommendations related to shifting process, required resources, and tools.